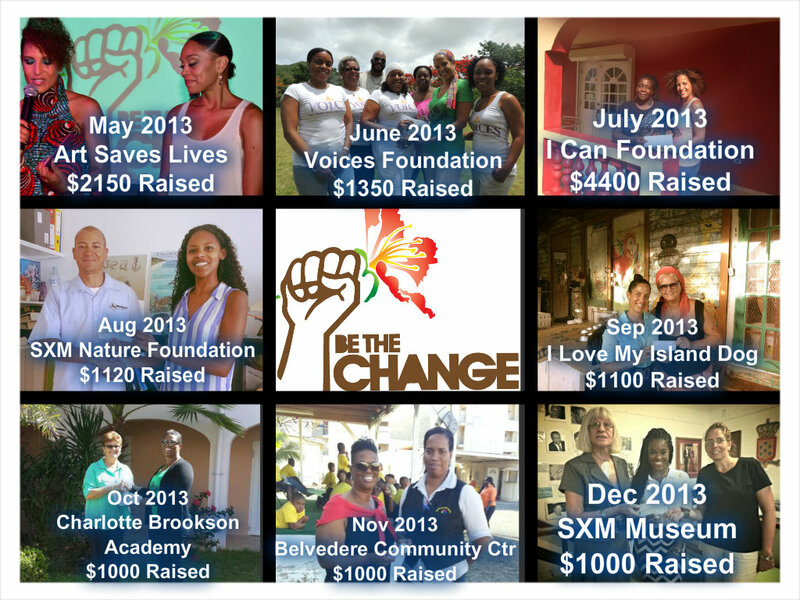 Be The Change Foundation, registered in May 2012, is a charity fundraising group that assists St. Maarten non-profit organizations with raising the monies needed for a particular cause while also promoting the mission and objectives of that NGO (non-governmental organization) to encourage volunteerism. 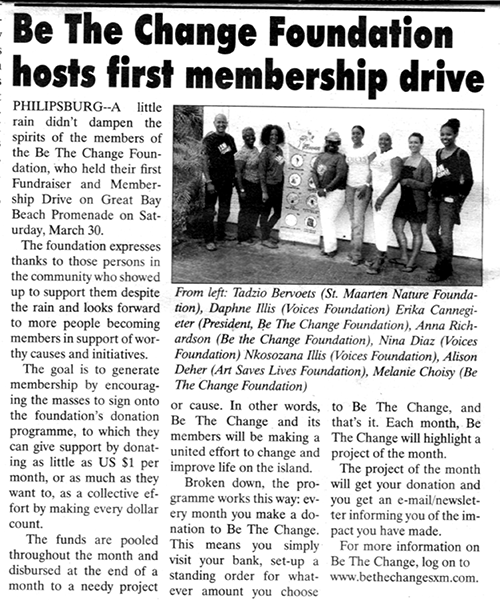 Becoming a Be The Change member means you are igniting a social philanthropic movement, hence making a united effort to change and improve life on the island. Be The Change Foundation also serves the local community of St. Maarten by serving as a social map to various NGOs and community projects on the island that are in dire need of financial assistance and volunteers. If you are wondering where to volunteer your time or donate your money, goods, and/or services, you’ve come to the right place! 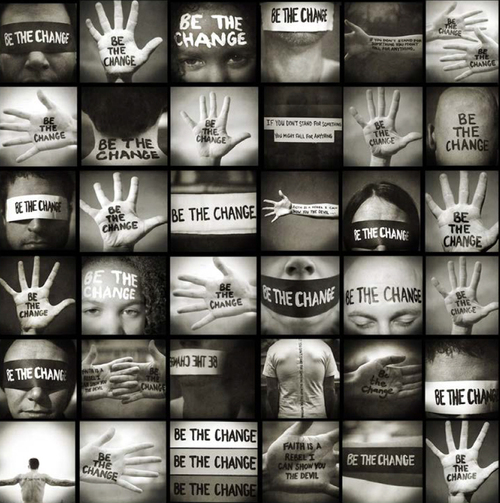 Via social media and electronic crowd funding, Be The Change will facilitate and accommodate people’s busy lives whereby it is quick and simple to give back to those in need, while at the same time presenting them with various volunteering opportunities. The goal is to generate membership by encouraging the masses to sign onto our donation program where they can support by giving as little as $1 per month. As a collective effort by making every dollar count, the funds are pooled throughout the month and disbursed at the end of a month to a needy project or cause. Be The Change emphasizes honesty and transparency therefore, we make a determined effort to announce the funds collected so the public can know to whom and towards what their funds have contributed to. Inspired by the Mahatma Gandhi quote “Be the change you wish to see in this world,” Be The Change was born out of a concern for the often times overlooked, neglected, and unknown social movements occurring everyday on our small 37 square-mile island.